Kelly-Moore Paints, we want to thank you for your donation to SAGE Cohousing International and to do so, we’d like to feature a current senior housing project of McCamant & Durrett Architects (another sponsor of SAGE) that is nearing completion. 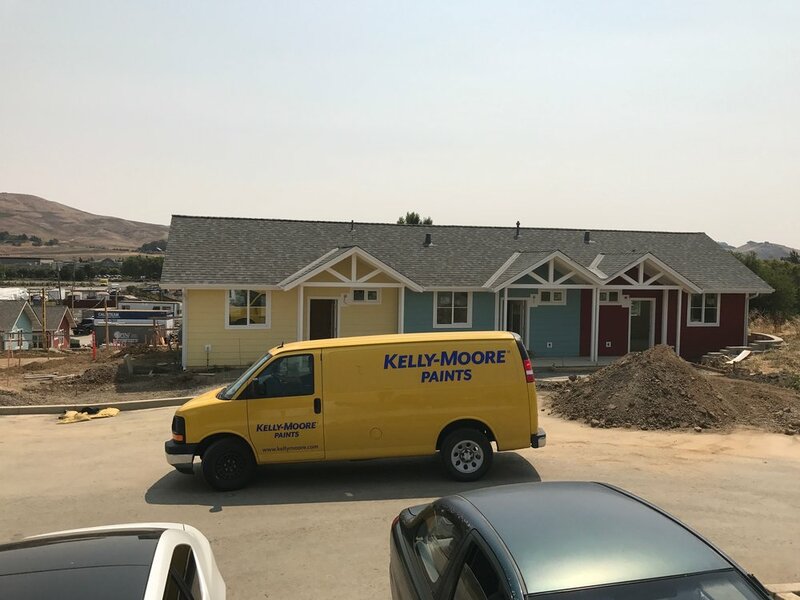 These images are of Kelly-Moore Paints delivering to a 70-unit senior housing neighborhood in Napa County, Northern California. 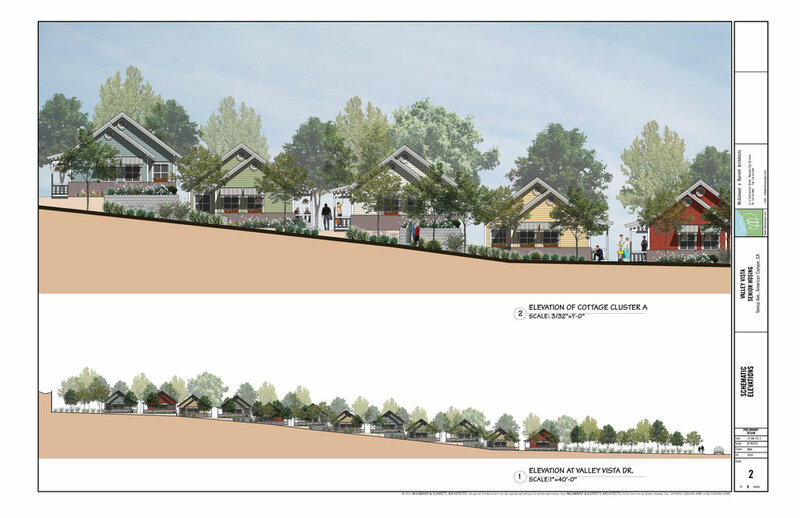 This village will house those who are currently homeless, or at risk of being so, including 22 veterans, providing them a safe and supportive community, a roof over their head, and the privacy that everyone deserves. The exterior walls, now painted, give the future neighborhood dimension and warmth. It means the project is one step closer to be finished and we are excited to see this! McCamant & Durrett Architects is focused on well-being through community and together with SAGE, we are dedicated to bringing this to older adults regardless of affordability. Through a very deliberate design, the community acts as a catalyst to bring residents together, to greet one another on the pathway, to share meals together. Once residents have moved into their beautiful homes, they will have the opportunity to experience their neighborhood coming to life. They will be inspired to help one another and accept the support of those next door. By supporting SAGE Cohousing International, you support projects like this one and give the residents a positive future outlook. Kelly-Moore Paints, we look forward to continuing to grow our partnership, one that supports housing seniors who need it. If you would like to explore a partnership with SAGE Cohousing International, please contact them at info@sagecohousinginternational.